To see a complete list of the tour dates and posts scheduled, click here! Those were the last words that Annie spoke to Alice before turning her back on their family and vanishing without a trace. 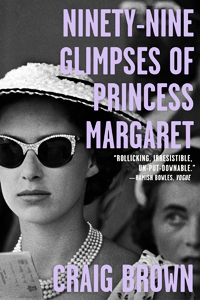 Alice spent four years waiting and wondering when the impossibly glamorous sister she idolized would return to her – and what their Hollywood-insider parents had done to drive her away. When Annie does turn up, the blond, broken stranger lying in a coma has no answers for her. But Alice isn’t a kid anymore, and this time she won’t let anything stand between her and the truth, no matter how ugly. The search for those who beat Annie and left her for dead leads Alice into a treacherous world of tough-talking private eyes, psychopathic movie stars, and troubled starlets – and onto the trail of a young runaway who is the sole witness to an unspeakable crime. What this girl knows could shut down a criminal syndicate and put Annie’s attacker behind bars – if Alice can find her first. And she isn’t the only one looking. When I saw my sister in that hospital bed, she was different from how I remembered her. She’d changed her hair. Her cheeks were leaner. And someone had tried to cave in the side of her head with a baseball bat. Los Angeles. 1948. The doctors tell sixteen-year-old Alice Gates that Annie was lucky. That things could have been much, much worse. But as Alice stares down at the broken body of the once-beloved, now-estranged sister she hasn’t spoken to in four years, at her broken back, her fractured skull, and her currently comatose state, twenty-year-old Annie seems anything but. Virtual strangers ever since Annie walked out on the Gates family in a cloud of secrecy and scandal, Alice has little more than the help of Jerry Shaffer, a bumbling, if well-meaning, private detective and one of Annie’s old associates, to guide her as she searches for the truth behind her sister’s attack. As she wades into the murky waters of Old Hollywood where nothing, and no-one, are quite what they appear to be, Alice will need all of her wit and courage in order to navigate an endless array of dirty cops, lost innocents, notorious starlets, hard-boiled detectives and cold-blooded murderers in a world where the most gilded of lilies disguises the most rotten of roots. So, I let her be invisible. It didn’t seem like much to ask. 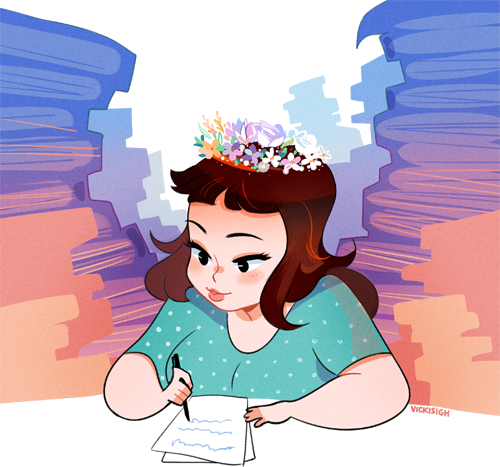 If I’d known she would develop a taste for it, that one day she’d disappear altogether, maybe I would have done something else. Maybe I would have tried harder to stop her. Dead To Me is historical fiction done right. I’ll admit that, initially, I was skeptical. Scared, even. Having been reared on movies like The Maltese Falcon and Murder, My Sweet as an adolescent, film noir is a subject that has always been near and dear to my heart. It was from these films that a passion for 1940’s cinema and history were born, a fascination that still persists to this day. That said, I needn’t have worried. Dead To Me provides a vivid glimpse into a bygone era, with a thrilling, action-packed mystery, morally ambiguous characters and a brave, enterprising heroine. 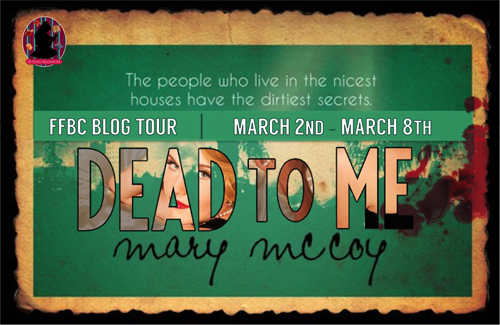 Haunting and evocative with a powerful emotional undercurrent throughout, Dead To Me is the first in what promises to be an extensive and successful career for phenomenally talented debut novelist, Mary McCoy. Readers are guaranteed to flip their lids over this taut, action-packed thriller set against one of the most glamorous, salacious and corrupt periods in America’s history. Every morning when I walked to school, I told myself, You are Philip Marlowe. You are Sam Spade. You are ice, you are stone, and nothing can touch you. If you tell yourself something like that enough, you begin to believe it, but that’s a problem, too. Better watch out or your face will freeze that way. Unlike Veronica Mars, to which this novel has so regularly been compared, Alice Gates is entirely unfamiliar with the investigatory lifestyle prior to Annie’s attack. The daughter of a minor, aging starlet and the head of publicity at Insignia Pictures, her life is that of an average, if privileged, teenager. With no-one to turn to and no-one to trust, however, Alice is forced to explore the circumstances surrounding her sister’s attack purely out of necessity and in doing so is capable and enterprising without ever straining credibility. McCoy strikes this familiar balance in every aspect of Alice’s personality. She is cynical without being alienating, prickly without being inaccessible, insightful without being pretentious, self-depracating without being dreary. In fact, it is often these very imperfections that make her all the more refreshing and captivating. Alice does not always do the ‘right’ thing. She can be cruel. She can be selfish. She makes mistakes. She trusts the wrong people. And that’s okay. As in life, sometimes there are no right choices or wrong choices but just a series of decisions that are neither straightforward nor easy to make. Much like the films on which this novel was patterned, McCoy creates a world painted in complicated shades of grey, asking some tough choices of her characters, and of society as a whole, in the process. I used to dream about disappearing and leaving a mark on someone like the one Annie had left on me. But Annie left her marks in different ways. She loved people; she took care of them. The only marks I left on people were the kind they regretted. Of equal importance in the narrative is Alice’s elder sister, Annie Gates. Much to my pleasant surprise, Annie is just as well-developed as her sister, a fact that is all the more laudable given the character’s passivity and/or absence throughout the majority of the novel. Much of the information the reader gleans about Annie is derived second-hand through the use of flashbacks and Alice’s recollections but, quite remarkably, there is no ambivalence or ambiguity as to the nature of Annie’s character. This is undoubtedly a testament to the clarity and vision of the author, who accomplishes in a few sparse lines of dialogue and gestures what other authors are unable to accomplish with the breadth of an entire novel at their disposal. Having left the Gates home after a devastating incident for which her parents offered her no consolation or support, Annie was forced to leave behind the life of wealth and privilege she once knew and take a number of odd, part-time jobs in order to support herself. It is by no means an easy existence and is made all the more difficult when Annie unknowingly becomes embroiled in a murder mystery that will threaten her life and the lives of everyone she holds dear. Thankfully, McCoy’s attention to detail and character development does not begin and end here; Dead To Me‘s remaining cast of secondary characters are equally compelling. From the hard-boiled detective to the enigmatic femme fatale, the handsome, arrogant movie star to the simpering, obsequious hangers-on, McCoy touches upon a number of archetypes synonymous with the genre without ever succumbing to the clichés associated with the same. For years, I’d been lied to about the biggest, most important thing in my life. And at that moment, the idea of being careful, of telling a watered-down version of the truth, felt uglier to me than a lie. The allure of McCoy’s chosen setting extends far beyond its novelty. From a booth at Musso & Frank to the seedy squalor of The Stratford Arms apartments, Dead To Me is an evocative and atmospheric dedication to an era long since passed but that continues to loom large in our collective memory. The author’s rendering of the period is delicate and understated, creating the ideal context to allow the ensuing events to occur without ever dominating the focus of the novel. In addition to its vivid setting, puzzle enthusiasts will delight in and be challenged by the codes and ciphers littered throughout the text. These ciphers are a significant aspect of Alice and Annie’s relationship and also play a crucial role in the resolution of the mystery that underscores the entire text, allowing the reader to feel as though they are active participants in its conclusion. Some secrets are too big to bury, some things can’t be hidden, but a girl is just about the right size. Move over Sam Spade – There’s a new detective in town! 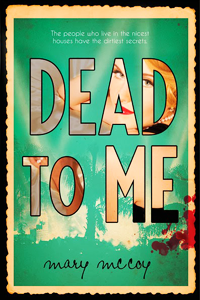 Set against the seductive, salacious and often unscrupulous backdrop of 1940’s Old Hollywood, Dead To Me is a credit to the young adult market, the historical fiction genre, and the noir films on which it was undoubtedly based. Author Mary McCoy’s debut is intelligent, thrilling and undeniably evocative with a bold, courageous heroine and a mystery that will have readers on the edge of their seats until the very last word. And if you’re ever looking for someone with whom to enthuse about this novel, you know where to find me. In fact, you can just whistle. And you know how to whistle, don’t you? You just put your lips together and blow. Please Note: All quotations included in this review have been taken from an advanced reader copy and therefore might be subject to change. I’m really looking forward to reading Dead to Me! I haven’t gotten around to it yet, in spite having had it on my Kindle for a few days. But it seriously sounds very unique + very thrilling. Glad to hear you enjoyed it! Oh my gosh, that final quote! I already wanted to read this based on the description and your comments, but that quote sealed the deal! This is the first review I have seen for this book! Just added it to my goodreads page! This looks great!